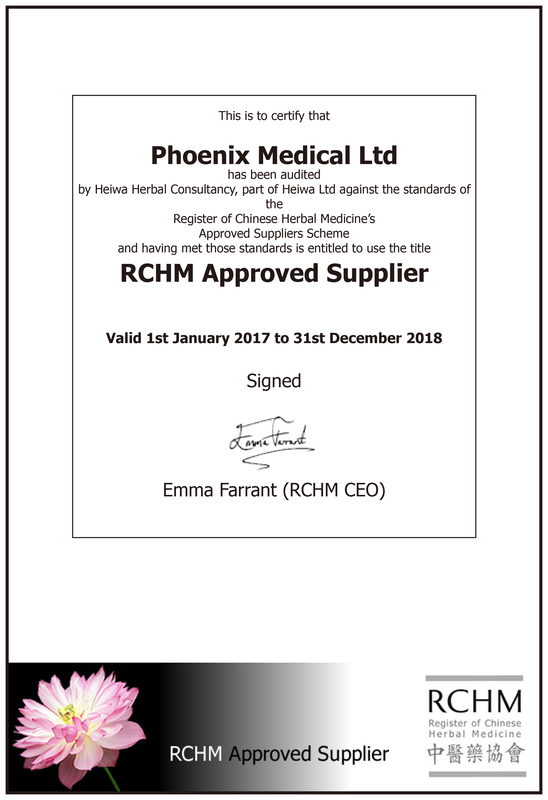 At Phoenix, we're passionate about building and promoting Chinese Medicine in the West and we do this by, not only making authentic and safe herbal medicine available, but also by working with organisations like the NHS, RCHM and ATCM. We are proud to be in partnership with the University of Southampton and the NHS National Institute of Health Research (NIHR) to provide herbal medicine for the RUTI clinical trial and the ORCHID trial in previous years. After many visits to factories and evaluation of suppliers over the course of two years, Phoenix was selected as the chosen supplier for the trials. 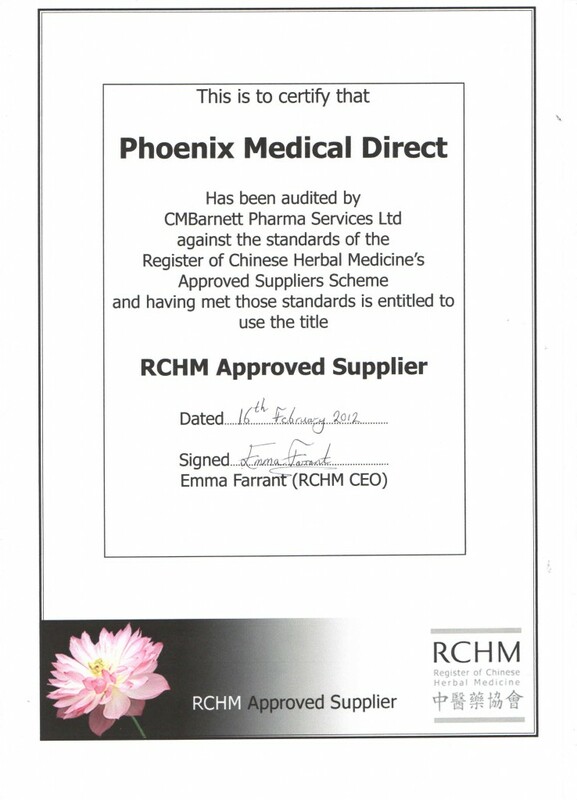 In 2012, Phoenix Medical became the very first company in the market to achieve RCHM approval within the new RCHM Approved Supplier Scheme. This new scheme entails a full independent audit and the training and monitoring is much more stringent and rigorous than previous schemes. It is aimed at the future Statutory Regulation of Herbalists within the HPC, whilst preparing for the MHRA’s future licensing requirements and inspections. This Approval is the reflection of our continuous commitment to Quality Assurance, our dedication to high professional ethics, and our allegiance to a long-lasting relationship with both the RCHM, the ATCM. Not only do we sell top quality botanical products, but we also represent and work in partnership with the manufacturers. This allows us to have full control over the entire process from harvest and manufacture to sale, packaging and dispatching. 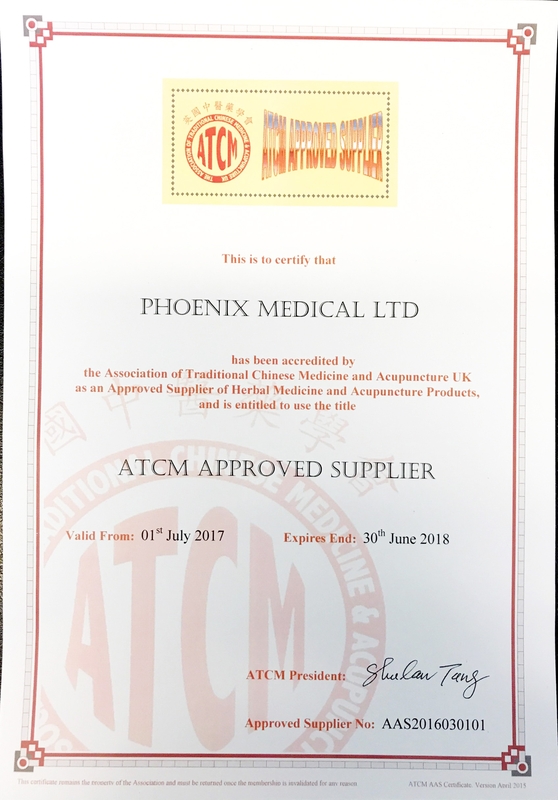 At Phoenix, we offer the best dispensary services available, managed by our in-house fully trained personnel with an RCHM approved dispensing certificate from the University of Bristol – Chinese Botanic Gardens. We take great care to ensure that every single prescription is fulfilled with knowledge and competency.